The learning event to share local experiences in public services took place in Barcelona on Tuesday 13 November 2017. A delegation, which was coordinated by the National Front of Mayors (Frente Nacional de Prefeitos), of mayors and experts from the cities of Vitória, Aracaju, Canoas, São Caetano do Sul, Teresina, Niteroi, Salvador, Guarulhos and Maceio took part in the event. For the third year in a row, this event organized by the National Front of Mayors (Frente Nacional de Prefeitos), United Cities and Local Governments (UCLG), the Metropolitan Area of Barcelona (MAB), and the city of Barcelona, was a chance to share experiences in urban management between different local representatives. The participants were able to learn more about UCLG, its learning agenda and its role as a representative of local voices in global agendas as they listened to the statement by Emilia Saiz (Deputy Secretary General of UCLG). The itinerary began with a visit to the Barcelona Metropolitan Transportation Company (TMB), where experiences and challenges regarding public transport in the metropolitan area of Barcelona were shared. 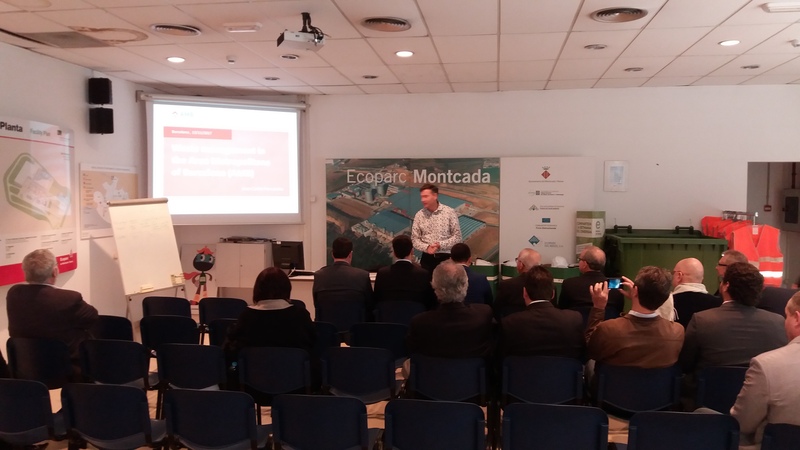 The second stop on the programme was Ecopark 2 Montcada i Reixac, one of the metropolitan area’s waste management plants. The representative of Ecoparc, Joan Carles Fernández talked about the challenges related to integrated waste management and emphasized the importance of involving citizens in information and education programmes. Later, they had the chance to gain an insight into the reality of economic policies in the city of Barcelona with a visit to the Barcelona Activa innovation centre, which focuses on promoting local development. Participants were able to discuss and visit initiatives to combine urban renewal policies with policies to support entrepreneurship and innovation. The tour finished at Foment del Traball Nacional, a non-profit confederation which represents Catalan entrepreneurs and industries, where participants were able to observe the institution's role and its aims to defend the interests of Catalan entrepreneurs and partners by promoting a forum for dialogue with public authorities and civil society. As the Mayor of Porto Alegre, Nelson Marchezan, said “this type of event enables us to learn about the experiences of different cities, such as Barcelona. Understanding its positive examples, but also the difficulties which have yet to be overcome, is important to us. Learning about these examples enables us to understand the future plans for Barcelona and its metropolitan area, reflect on our situation in Brazil and make comparisons in order to find innovative solutions for our cities”.